Employees from our UK facilities in Rogerstone and Fairford have been hard at work raising funds for their local charity, Macmillan Cancer Support. The first event involved a bike ride from Fairford to Rogerstone that stretched over 85 miles and included 10 employees. 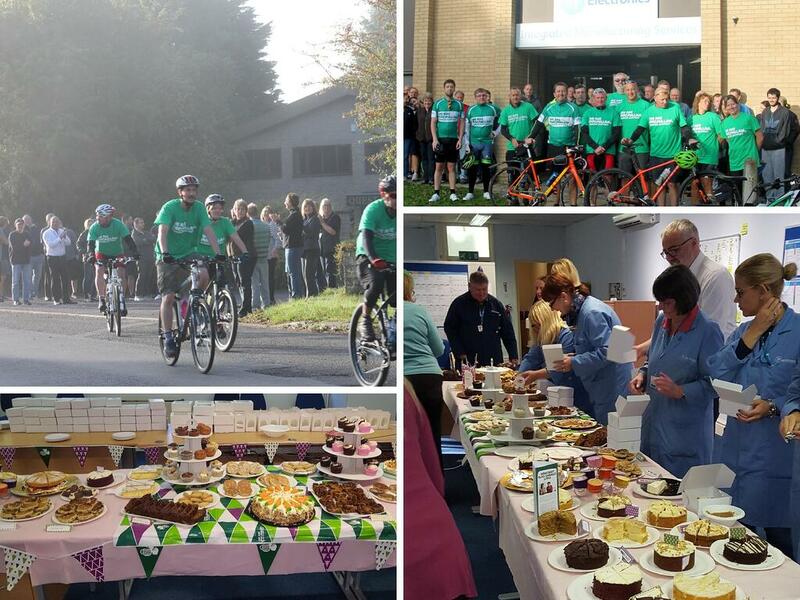 Following the bike ride, TT Electronics held a cake sale at our Rogerstone facility on October 5th. Together, the groups raised nearly £2,000 for their efforts. Macmillan Cancer Support works to provide support to cancer patients through diagnosis, treatment, and beyond. Congratulations to both facilities for their efforts to give something back to their local communities.